From Milwaukee chimney inspections and cleaning to Waukesha chimney rebuilding and tuckpointing, Wisconsin Chimney Technicians are your providers of quality chimney services at great prices. Wisconsin Chimney Technicians utilizes over 30 years of experience to provide our customers with the level of workmanship and customer service we’re famous for, along with unbeatable chimney sweep costs. 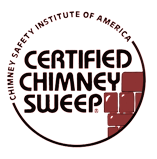 Our service technicians are certified by the Chimney Safety Institute of America and receive year round training to provide our customers with the ultimate level of service. Our dedication to excellent customer service and honesty makes Wisconsin Chimney Technicians the perfect choice for your Milwaukee chimney services. 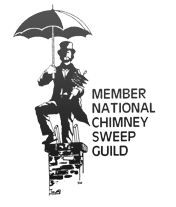 Schedule Chimney Sweep Milwaukee Service Today! Chimney cleaning services from Wisconsin Chimney Technicians will remove any built-up creosote, soot, animal nests and other potentially dangerous debris from your chimney flue. Wisconsin Chimney Technicians highly recommend having Milwaukee chimney sweep experts clean your chimney system once a year to ensure a safe, clean chimney ready for use in the cold months. Whether you do this in fall or summer is up to you, so long as it is done. Fireplaces are designed to be relaxing, not stressful. Don't leave any safety concerns to chance. The longer repairs sit, the costlier they become. Each Wisconsin winter, fireplaces become the centerpiece of family gatherings. Love and friendship are warmly traded as dim light crackles and glows. Don’t wait until a home buyer makes you clean the fireplace as part of their offer to purchase. With Wisconsin Chimney Technicians’ hometown Wisconsin prices, you will actually use your home’s biggest asset and increase your standard of living right now. Would a rockstar put on a show without a guitar and drumset? Could a wrestler bodyslam his opponent without a set of weights to lift multiple times per week? Have you heard of a famous chef prepping a lavish meal without a kitchen? Then why in the world would you be a Midwestern family without a fireplace? It's time you embrace your fireplace system and capitalize on a staple of Wisconsin life. Annual Waukesha fireplace inspections are a vital part of ensuring your chimney is safe, water tight, and ready for seasonal use. The trained Milwaukee chimney inspection experts at Wisconsin Chimney Technicians will check your chimney inside and out for any potential issues and will provide a detailed evaluation of your chimney and the services it may require. Galvanized Milwaukee chimney chase covers from Wisconsin Chimney Technicians are designed to protect your chimney from intrusive animals and stop any rainwater from entering your chimney flue. Wisconsin Chimney Technicians will install a durable, high quality chase cover on your chimney, providing excellent protection for the life of your chimney. Additionally, chimney pipes are 100% as important as chimney flashing and flue caps. With pipe installation for your chimney, our technicians guarantee you won't face monotonous water leaks problems so many homeowners constantly face. If the mortar on your chimney is beginning to deteriorate, chances are you will soon have to deal with moisture intrusion and water damage or potentially dangerous gases being vented in to your home. Wisconsin Chimney Technicians provides superb Milwaukee chimney tuckpointing services for repacking the mortar on your bricks and ensuring you chimney is airtight and safe for use, making us the best masonry repair service in Greater Milwaukee. If your chimney is damaged, collapsing, or leaking, contact the professional Milwaukee chimney rebuilding experts at Wisconsin Chimney Technicians. Our years of training and on-the-job experience will leave you with a durable, high quality chimney capable of standing up to years of use and weathering. Milwaukee chimney crowns and caps are used to seal the top of your chimney, keep the interior moisture free and protected from both the elements and animals. Waukesha chimney concrete cap repair and installation services from Wisconsin Chimney Technicians will repair cracks and fix any chipped concrete, providing you with a safe, water tight chimney. Old, damaged, and cracked chimney liners can increase your risk for potential home damage and personal danger. Wisconsin Chimney Technicians will install a brand new stainless steel or aluminum Milwaukee chimney flue insert in your chimney flue, protecting your home and family. Nobody does chimney relining like us. Families in Kenosha and elsewhere in Wisconsin know that we are famous for guaranteeing warm, safe fires. You, your family, and friends will enjoy the restored luxury of the chimney for years to come. Seasonal use, age, and the natural settling of a home can crack or damage a clay chimney flue. Wisconsin Chimney Technicians offers superb Waukesha flue resurfacing and joint repair services for keeping your chimney airtight, safe and durable for years to come. Wisconsin Chimney Technicians offers Milwaukee chimney flue cap installation services for chimneys of every shape and size. Chimney flue caps are instrumental in stopping embers and sparks from landing on your roof and stopping wind from flowing directly down your chimney flue. Water Leaks in Your Fireplace? Never Again! Just imagine waking up in the morning for your commute. It's early, you're tired, you fight traffic all the way to your job, put in a full day's work, then fight the traffic back home. You kick back to relax in front of the fire, BUT WAIT, you can't because your fireplace is leaking water. Now you've got even more stress on top of the ordinary and are in desperate need of water leak repair for your one and only chimney. Call Wisconsin Chimney ASAP, and we will fix your water leaks for the best chimney sweep prices in the Milwaukee area. A beautiful fireplace should never be tarnished with smoke stains. Truth is, beauty isn't even the sole issue. The REAL problem with smoke stains is they signify potential threats to the safety of your home. Smudges within the brick surfaces of chimneys consist of smoke, soot, and creosote. Studies have shown that burning creosote is potentially carcinogenic to you and your family. It's time for fireplace smoke stain removal. Wisconsin Chimney Technicians offers Milwaukee dryer vent cleaning, an important service for protecting your home. Blocked dryer vents make your clothing dryer work harder, raising your utility bills and raising your chances for a fire. Let the trained Waukesha dryer vent cleaning experts at Wisconsin Chimney Technicians clean your dryer vents and help ensure the safety of your home and your family. Wisconsin Chimney Technicians provide nationally-recognized chimney and fireplace services to homes across southeast Wisconsin. If you are not sure what service you need, just call us and ask! We’ve seen and worked on every type of chimney. We’ve even cleaned the historic chimneys of the White House in Washington, D.C. Whether your home has antique woodstove chimneys or modern fireplaces, we have the cleaning and repair services for you. Call your top choice in chimney contractors at Wisconsin Chimney Technicians, 262.443.5933, or request a FREE CHIMNEY SERVICE QUOTE online today!